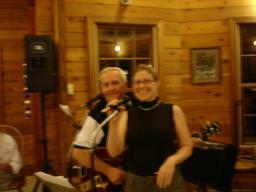 Tom is pictured here with Janelle, as she sang a few tunes with FPB during FPB's second set on December 30, 2007 at the West Point Military Academy. 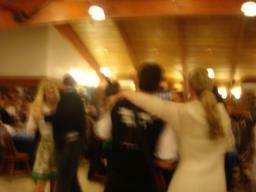 That blur you see is FPB member, Frank Nelson tearing it up on the dance floor on December 30th while playing bass! The lovely Fonda put her arm around Frank to steady him from falling over backwards. Isn't that nice? 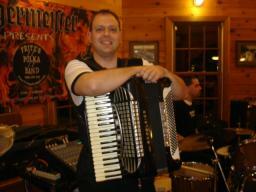 Fritz poses here with his Excelsior during FPB's gig at the West Point Military Academy on December 30th. 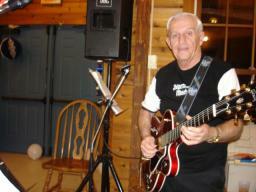 Tom poses with his Gibson on December 30th at the West Point Military Academy. 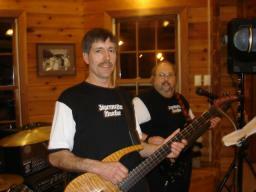 Frank and Gabe are pictured here in action during FPB's gig at the West Point Military Academy on December 30th. 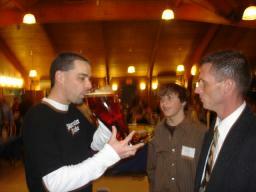 Gabe takes a ceremonial sip of beer from the huge community glass during FPB's gig on December 30th. 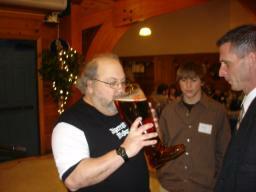 Rick takes a ceremonial sip of beer from the huge community glass on December 30th. 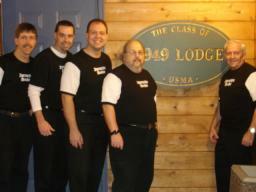 Frank, Rick, Fritz, Gabe, and Tom pose here outside the 49er lodge at West Point Military Academy on December 30, 2007. 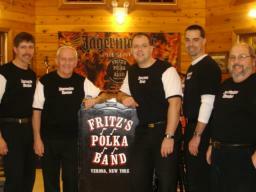 Frank, Tom, Fritz, Rick, and Gabe pose here during a break on December 30th at the FPB gig at the West Point Military Academy. 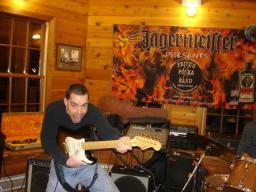 Rick clowns around with Frank's 50th Anniversary edition Fender on December 30th prior to FPB's first set at the West Point Military Academy. 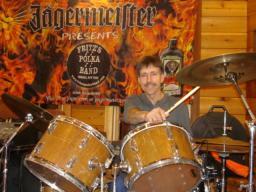 Frank goofs around behind Rick's drumkit on December 30th, prior to FPB's first set at the West Point Military Academy. 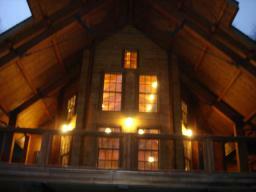 The 49er lodge at the West Point Military Academy, where FPB's gig for the wedding rehearsal bash for Captain Ford Lannan and Kate Wegman on December 30, 2007 took place.